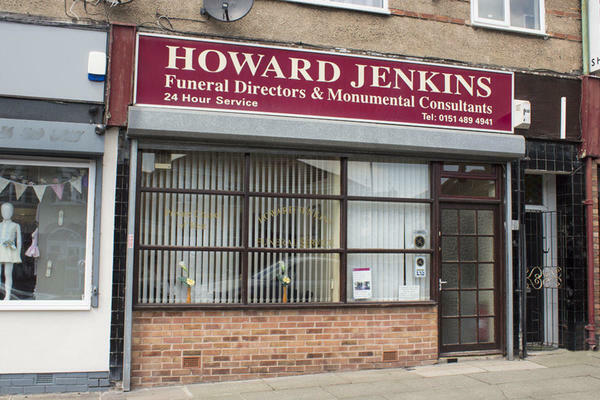 Howard Jenkins Funeral Directors have been serving the Roby, Swanside, Dovecot, Knotty Ash and Old Swan communities since the 1930s. We have three funeral homes across Liverpool, this one in Roby, one on Childwall Fiveways and the other on Smithdown Road in Edge Hill. We do not compromise on quality, which is why we offer an unparalleled standard of funeral care. With compassion and consideration, our team will listen to your every need. Our dedicated team will work with you to understand and assist you in making your loved one’s farewell truly special. We will tailor-make your loved one’s funeral to your requirements, whatever they may be. Using our experience and expertise, we can cater for all types of funerals, whether it is a colourful celebration of life or a traditional commemoration. We are here to care for you. Our team are available 24 hours a day to help, guide and support you during this difficult time. At Howard Jenkins Funeral Directors, we understand how special life is with those that you love. For us, every funeral is unique and personal. We have a service to fulfil every wish, with every detail carried out with the same uncompromising quality of care. From a traditional service, to a colourful woodland burial, your options are limitless with our Full Service Funeral. If you have a little more flexibility when it comes to arrangements, then we can provide a Simple Funeral for a lower cost. There is limited car parking at the branch, but there is ample parking on surrounding streets. We are situated in the parade of shops in Roby village. Our staff are available 24 hours a day on 0151 489 4941 if you require our services outside of these hours.